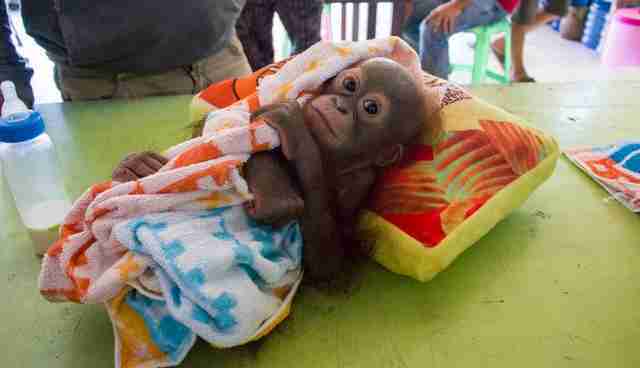 In the brief time he's been on the planet, this precious baby orangutan has experienced more pain and suffering than any creature should in a lifetime. But thanks to the kindness of those helping him overcome it, he's now learning what a caring place the world can be. 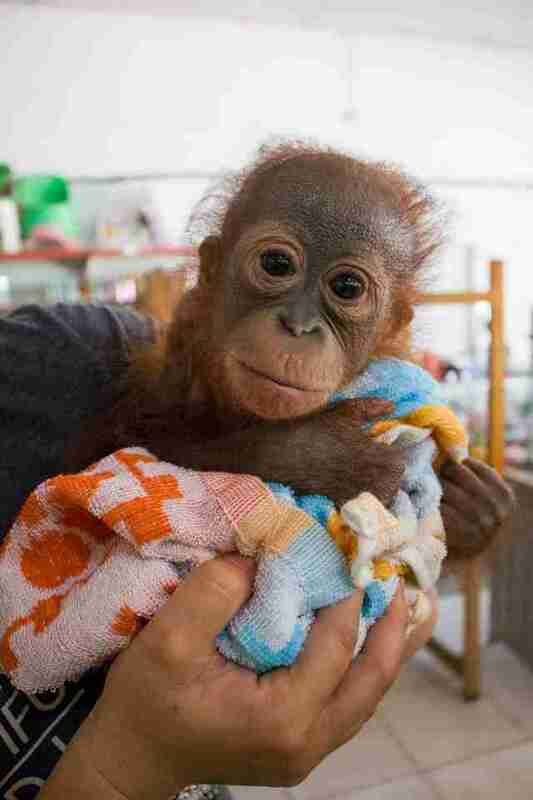 Didik, as he's now known, was discovered abandoned at a shop in Indonesia, likely by a person who had planned on keeping him as a pet. Though his background isn't known for sure, the condition of his body and the sadness in his eyes hinted at a tragic past. 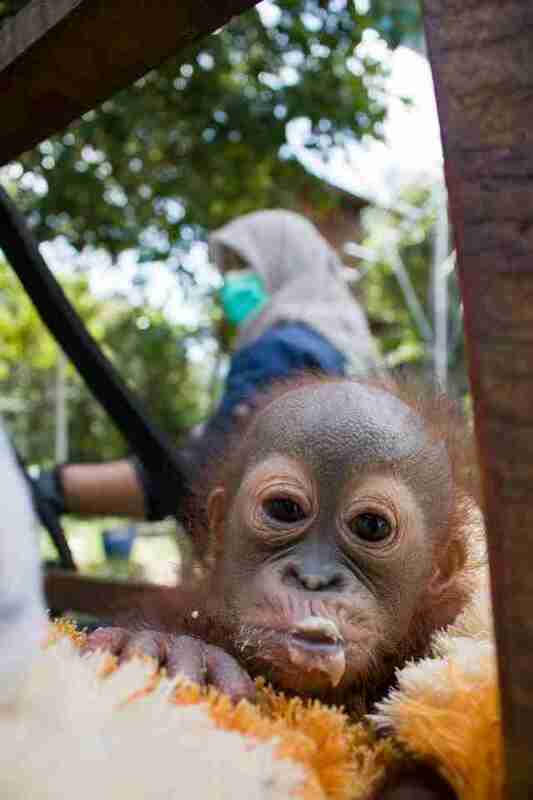 The little orangutan was frighteningly thin from malnourishment. He also had a bullet lodged in his shoulder - both indications that he'd been stolen from his mother in the wild under a hail of gunfire. When Didik was finally brought to safety by the group International Animal Rescue (IAR), his heartbreak was unmistakable. "For an animal like an orangutan, witnessing the death of its mother is a profoundly shocking experience," said IAR director Karmele Llano Sanchez in a release. "That is undoubtedly why Didik looks so sad and depressed." 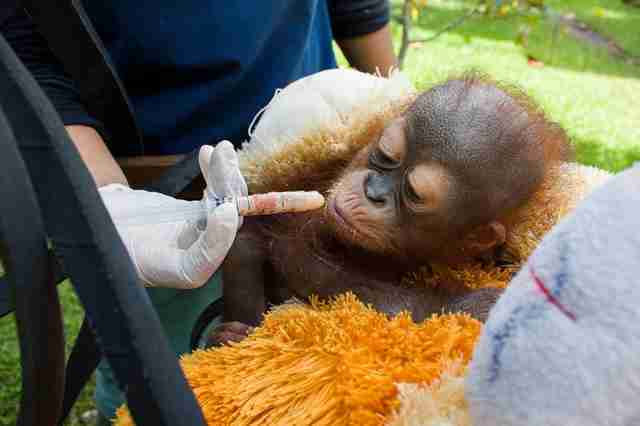 Rescuers have been working tirelessly to help the emaciated orangutan recover his health. Because he's too weak to even open his mouth, Didik is being fed the nutrients he needs him through a syringe - and it seems to be working. "The vets have informed us that Didik is starting to show positive signs of recovery and that he has started to put on a little bit of weight," IAR wrote in an update on Facebook. As Didik's physical health improves, IAR notes that it still could take years of care before he overcomes the emotional trauma he experienced so early on in life. But with the help of those around him, and the support of folks around the globe, that long road to recovery isn't something Didik will have to face alone. Watch a video of Didik under the care of International Animal Rescue.